We realise that deciding to volunteer overseas is something that needs much thought and consideration. We would like to hear from you, answer your questions and assist you with your quest. Of course there is no commitment or time limit on you after that. We would like to make sure that we are the right organisation for you and can offer you a placement that best matches your skills and expectations. If we think that there are other opportunities out there that may be more suitable, we would be happy to refer you on. You can download (below) and complete the 2018-19 VLM Application Form in MS Word and email it back to us. This application form is intended to also help you with your decision making process. We invite candidates to write a short statement of motivation as part of the form, giving us a sense of why you would like to have this experience. As we have pledged our partner projects overseas a high caliber of volunteers, we also require contact information from two referees, one of whom should be your current or most recent supervisor. All of our volunteers are reference checked and Garda vetted. Once you have submitted your application form we will be in touch within a day or two to arrange a meeting. This is a chance for us to go through your application with you, learn more about the skills and experiences you have to offer and the expectations you have of the placement. We do our best to arrange the consultation meeting at a time that suits you. It is usually in our office at St Peter’s Phibsborough with the Projects Coordinator and a previous VLM volunteer. At this consultation we also give you an idea of the kind of placements that we could offer to you – given your skills, the time of year you wish to travel and any other preferences you may have. Alternatively, we may refer you to another organisation or programme that might be more suitable to your needs and desires. After this meeting we discuss your application with our overseas partners. It is important to us that all volunteer placements are valuable to our partners and the work that they do. We do not confirm any volunteer placements until our partners are fully on board. Once this is the case, you are officially accepted as a VLM volunteer. Volunteers with VLM are asked to make a contribution of €2000-€3000 to cover their costs. This is a standard requirement with almost all overseas volunteering organisations offering shorter-term placements. VLM is a not-for-profit organisation so these contributions are essential to continue our support to those in some of the poorest countries in the world. You can pay this contribution or fundraise for it – we recommend a combination of both. Many potential volunteers are often discouraged at the idea of fundraising. However, we always support our volunteers with fundraising tips and know how, access to contacts, funding sources and fundraising materials. From experience, most of our volunteers have managed to raise over and above their target. Many have been surprised by where they could access funding and by how generous people can be. All of the above are arranged for you by VLM ahead of your departure. VLM facilitates a creative and engaging pre-departure training programme for its volunteers. We aim to make this interactive and enjoyable for all participants, while also covering the themes and topics recommended by the Comhlámh Code of Good Practice. No matter how many skills or experiences a volunteer is bringing to their placement, this training is still invaluable to them. It gives a detailed insight into the work of our partners in the field and the nuances of the VLM volunteer role. Indeed, the pre-departure training days are an excellent opportunity to meet with the other members of your team and a chance to plan effectively for your work overseas. Pre-departure training can be facilitated for individuals or groups over a weekend or a number of sessions. We aim to be flexible with this as it is essential that all volunteers are properly briefed and trained before departure. Participants also receive a Volunteer Handbook to aid their preparation and take to their destination with them, if they wish. We also facilitate a separate session for those undertaking teaching placements. We realise that teaching in Ireland and teaching in the developing world are two entirely different experiences. With your flights, transfer and accommodation already arranged for you, all you need to do is pack and go! Please visit our FAQs section for any other questions you may have or indeed get in touch with us on info@vlm.ie or 01-8102570 or 087-1397069. 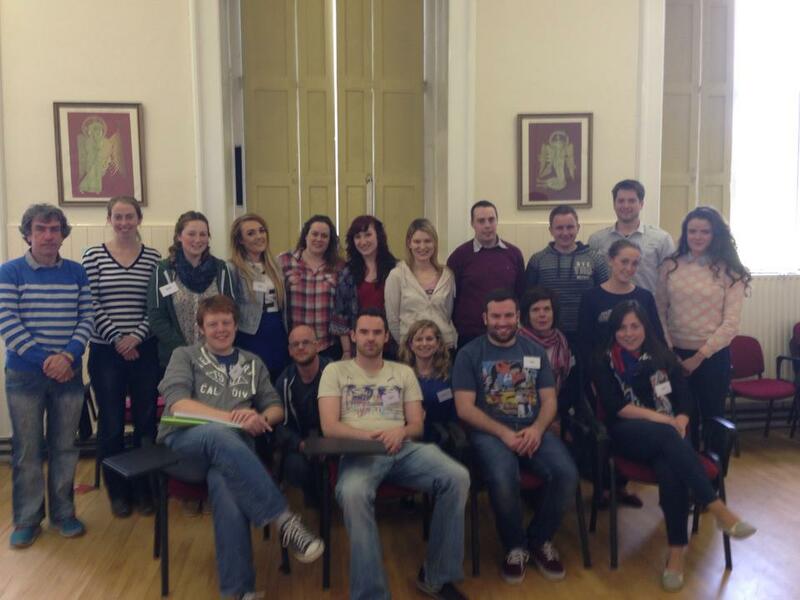 VLM Volunteers at our pre-departure training weekend in All Hallows College, DCU. 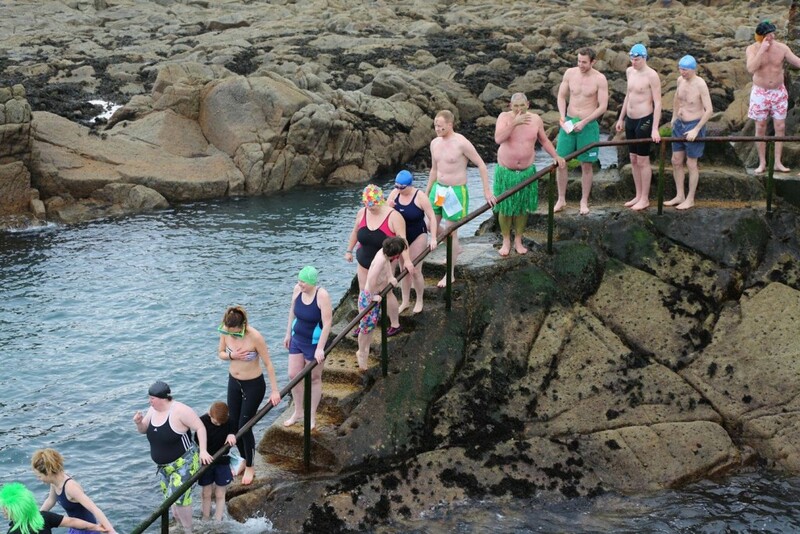 St Patrick's Day plunge in the 40 Foot, Dun Laoighaire - a simple and novel fundraiser!